Drum roll please... Animal Costume Shop and its sister store ZooHood which sells amazing animal related products is now part of the Tickled Pink Fancy Dress Group. 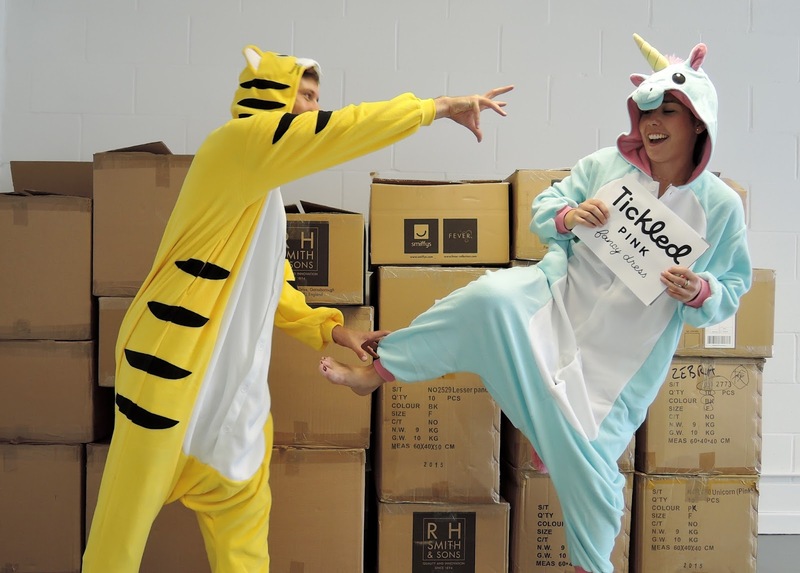 Tickled Pink are an online fancy dress company offering fancy dress for events and festivals so its a match made in heaven. Over the next few weeks there will be a few changes to the website but rest assured that you will still be able to buy the same fantastic animal costumes that Animal Costumes Shop is famous for. Its an exciting time as Tickled Pink will be adding even more Animal Onesies for humans of all ages along with some of their fun animal fancy dress so do keep visiting. Find out more about Tickled Pink over on the parent site by clicking here.